Fred. 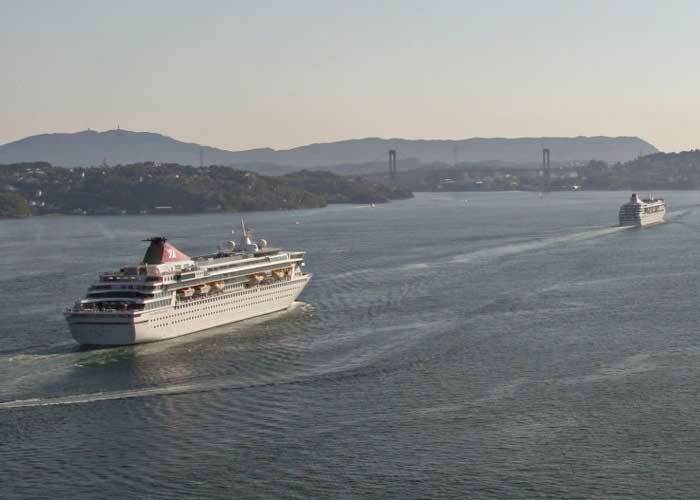 Olsen Cruise Lines’ three ships Black Watch, Braemar and Balmoral are all due to enter dry dock at the Blohm+Voss shipyard in Hamburg, Germany in November and December 2014, in preparation for the forthcoming 2015/16 cruise season. This is the first time that so many Fred. Olsen ships have undergone refurbishment within such short succession. Work has started with 804-guest Black Watch, which arrived at Blohm+Voss on 4th November 2014. The ship will then continue on Fred. Olsen’s first-ever sellout ‘Mystery Cruise’ of 14 nights, W1417, which sails from Tilbury on 15th November 2014. Braemar will then arrive in Hamburg on 12th November 2014, after which the 929-guest ship will depart on a three-night M1430 ‘France Mini-Cruise’ from Southampton on 20th November 2014. Balmoral, which carries 1,350 guests, rounds off the planned dry dock works. The ship will arrive on 9th December 2014, and will leave the shipyard to start a two-night pre-Christmas L1418 ‘France Mini-Cruise’ from Southampton on 19th December 2014. The Blohm+Voss schedule for the three Fred. Olsen cruise ships comprises various engineering works, general refurbishment and interior and exterior painting. During the dry dock, Black Watch will also see 27 cabins on Lido Deck 7 fitted with balcony terraces. These new Balcony Terrace cabins will extend out 1.2 metres from the ship’s bulkhead, and will provide guests with an increased choice of cost-effective balcony cabins with access to the outside. During their dry docks, Balmoral and Braemar will also follow on from Boudicca and Black Watch by having Fred. Olsen’s popular ‘Café Venus’ installed on board, serving high-quality coffee and luxury chocolates. The new Café will be created onBalmoral on Lounge Deck 7, by reconfiguring the Library area, to create a more open, sociable public space. On Braemar, Café Venus will be installed on Lounge Deck 5 by reconfiguring the Library area, and the Card Room will be moved and integrated with the Arts and Crafts Centre on Atlantic Deck 3. “We experience extremely high demand for balcony cabins across our fleet, and in particular on board the smaller-sized Black Watch, and our new Balcony Terrace cabins are an innovative response to this. We are also looking forward to being able to give guests the experience of fine coffee and chocolates on board Balmoral and Braemar, as they have already been enjoying on Boudicca and Black Watch. In November 2007, Balmoral was extended by a section of 30.27 metres. Braemar followed in May 2008, being extended amidships by a section of 31.20 metres.